Echo & the Bunnymen are an English post-punk band, formed in Liverpool in 1978. 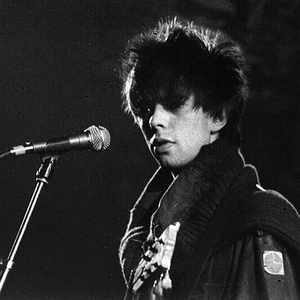 The original line-up consisted of vocalist Ian McCulloch, guitarist Will Sergeant and bass player Les Pattinson, supplemented by a drum machine. By 1980, Pete de Freitas had joined as the band's drummer, and their debut album, Crocodiles, met with critical acclaim and made the UK Top 20. Their second album, Heaven Up Here (1981), again found favour with the critics and reached number 10 in the UK Album chart. The original line-up consisted of vocalist Ian McCulloch, guitarist Will Sergeant and bass player Les Pattinson, supplemented by a drum machine. By 1980, Pete de Freitas had joined as the band's drummer, and their debut album, Crocodiles, met with critical acclaim and made the UK Top 20. Their second album, Heaven Up Here (1981), again found favour with the critics and reached number 10 in the UK Album chart. The band's cult status was followed by mainstream success in the mid-1980s, as they scored a UK Top 10 hit with "The Cutter", and the attendant album, Porcupine (1983), reached number 2 in the UK. Their next release, Ocean Rain (1984), continued the band's UK chart success, and has since been regarded as their landmark release, spawning the hit singles "The Killing Moon", "Silver" and "Seven Seas". One more studio album, Echo & the Bunnymen (1987), was released before McCulloch left the band to pursue a solo career in 1988. The following year, de Freitas was killed in a motorcycle accident, and the band re-emerged with a new line-up. Original members Will Sergeant and Les Pattinson were joined by Noel Burke as lead singer, Damon Reece on drums and Jake Brockman on keyboards. This new incarnation of the band released Reverberation in 1990, but the disappointing critical and commercial reaction it received culminated with a complete split in 1993. After working together as Electrafixion, McCulloch and Sergeant regrouped with Pattinson in 1997 and returned as Echo & the Bunnymen with the UK Top 10 hit "Nothing Lasts Forever". An album of new material, Evergreen, was greeted enthusiastically by critics and the band made a successful return to the live arena. Though Pattinson left the group for a second time, McCulloch and Sergeant have continued to issue new material as Echo & the Bunnymen, including the albums What Are You Going to Do with Your Life? (1999), Flowers (2001), Siberia (2005) and The Fountain (2009).